Through its expanding jurisprudence on the right to life, the UN Human Rights Committee has given advocates on economic and social rights a powerful new enforcement tool. This article was originally posted on Open Global Rights’ website. The UN Human Rights Committee, the body of 18 independent human rights experts responsible for monitoring the implementation of the International Covenant on Civil and Political Rights, has given economic and social rights advocates a powerful new tool. With its recent General Comment No. 36 on the right to life (article 6 of the International Covenant on Civil and Political Rights [ICCPR]), the Committee has contributed significantly to the development and justiciability of human rights at the international and national levels. The General Comment, a document that provides guidance interpreting the relevant international human rights treaty, embraces a more fulsome understanding of the right to life and insists on the entitlement of individuals to enjoy a “life with dignity” (paragraph 3). In a strong endorsement of the indivisibility of all rights, the new General Comment also discusses the economic and social dimensions of the right to life, and the implications for the right to life of environmental degradation, climate change and sustainable development. Taken together, these represent significant developments in human rights jurisprudence and an expansion of opportunities for access to justice for millions of people living in poverty, given the special, non-derogable, status of the right to life and the wide ratification of the ICCPR and its Optional Protocol. 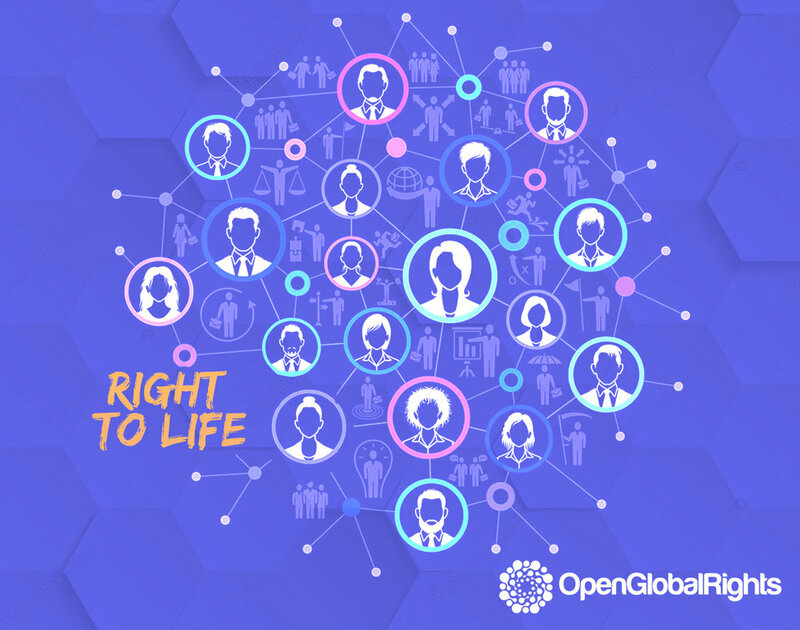 The notion of a “life with dignity” was not explicitly recognized in the previous General Comments nor in the general understanding of the right to life. But the importance of a life with dignity was a point strongly advocated by ESC rights NGOs and debated by Committee members in the drafting process. Latin American advocates and Committee members were particularly articulate advocates for the inclusion of the concept of dignity, given their familiarity with the concept of “vida digna”, from the work of the Inter-American Court of Human Rights. This concept is also prevalent in the jurisprudence of the Indian Supreme Court, among others. “States parties should take appropriate measures to address the general conditions in society that may give rise to direct threats to life or prevent individuals from enjoying their right to life with dignity” (paragraph 26). While these are not entirely new issues for the Human Rights Committee, which for instance has raised concerns with Canada about homelessness and the right to life, the Committee debates on this topic revealed the discomfort of some members with the incorporation of what are traditionally perceived as economic and social rights issues into the purview of the ICCPR. In this context, the final text of the General Comment is groundbreaking in its articulation of the positive duties on states to ensure the “general conditions in society” necessary to protect the right to enjoy a life with dignity. For example, General Comment 36 notes that states must address conditions such as land/resource allocation of indigenous peoples, life threatening diseases, and widespread malnutrition, poverty, and homelessness. The measures called for including immediate access to essential goods and services, as well as effective emergency health services and social housing programs (paragraph 26). Importantly, this broad definition of the right to life is considered justiciable under the Optional Protocol to the Covenant. Earlier drafts of the General Comment attempted to limit justiciability, for example by requiring individuals to establish that their individual rights had been “directly violated” by acts or omissions of states or were under “a real and personalized risk of being violated”. The final text solidifies a long-term goal of the ESC rights movement; to ensure that individual complaints dealing with social aspects of civil and political rights are legally enforceable against the 116 States that are party to the Optional Protocol to the ICCPR. The General Comment also has important implications for the justiciability and enforceability of ESC rights issues at the domestic level, with a significant number of states enshrining the right to life in national laws and constitutions. The General Comment comes shortly after the Committee’s important decision in the case of Nell Toussaint v Canada brought by the Social Rights Advocacy Centre, which considered whether the Canadian government’s denial of access to long-term health care (as opposed to emergency care only) to undocumented migrants amounted to a violation of her right to life. The Committee found in favor of the complainant, Ms. Toussaint, on the grounds that: “States parties have the obligation to provide access to existing health care services that are reasonably available and accessible, when lack of access to the health care would expose a person to a reasonably foreseeable risk that can result in loss of life.” This decision has significant implications for access to health and other public services (such as housing, water and sanitation) for undocumented migrants, asylum seekers and other displaced persons. The other groundbreaking aspect of the General Comment, is its recognition that environmental degradation and climate change constitute “some of the most pressing and serious threats to the ability of present and future generations to enjoy the right to life.” The relationship between the right to life and environmental degradation and climate change was not addressed in the previous General Comments on the right to life, nor has it been commonly addressed in the Committee’s recommendations to States. The new General Comment, however, says: “States must adopt measures to preserve the environment and protect it against harm, pollution and climate change caused by public and private actors” (para 62). At a time when human rights are under attack throughout the world and some contend that the human rights movement is incapable of responding to the significant challenges of our times—in particular economic injustice—the Human Rights Committee’s acknowledgement of the socio-economic dimensions of the right to life is a welcome development. By returning to the notion of dignity, articulated in the UDHR at the birth of the human rights framework, the Committee has ensured the continued relevance of this right to the reality of millions of people living in poverty across the world. Not only will this expand access to justice for such people at the international level but it will also influence the interpretation of claims in national courts of violations of the right to life, which is widely protected in constitutions and national legislation across the globe.